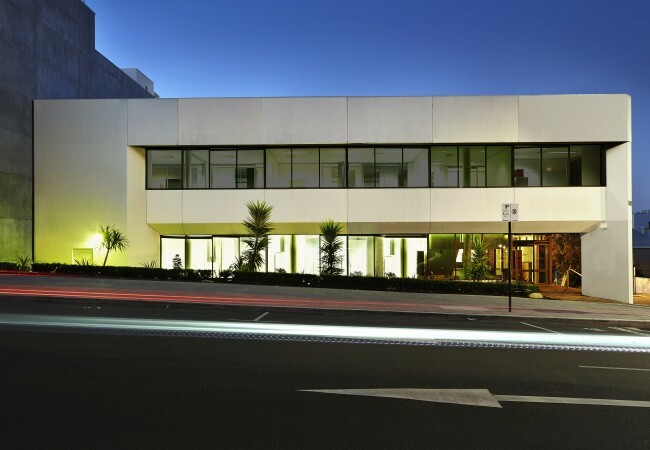 Two level office building in the heart of the West Perth CBD. 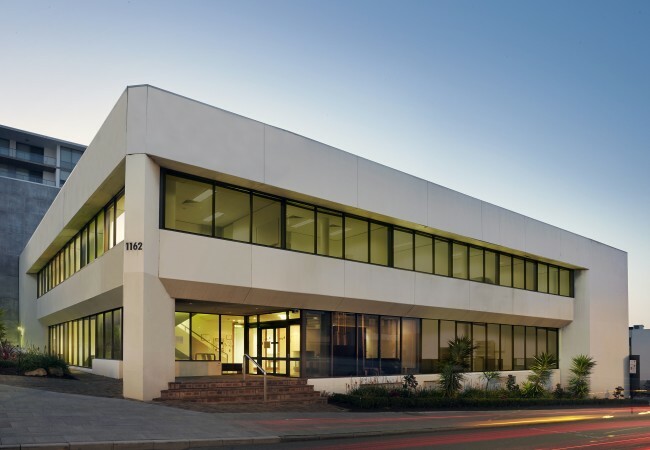 With a typical floor plate size of 700 sqm, the building provides a total leasable area of 1424 sqm on a 1,863 sqm site. Small landscaped garden areas run along both corner frontages of the building. 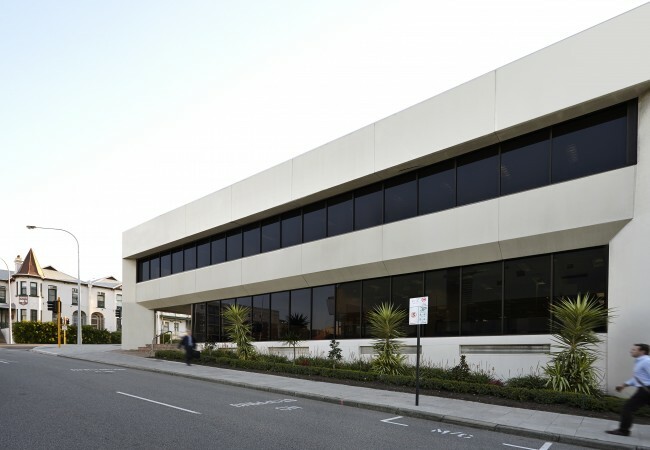 The addition of a lift will allows access to both levels where you’ll find fully partitioned work spaces complete with a tea room and male and female restrooms. Fittings include suspended acoustic ceiling panels, recessed lighting and fully ducted air conditioning. Parking is available for 49 vehicles with 19 secure, undercover bays and 30 open bays. That’s 1 bay per 29 sqm of leasable area. Zoning is Town Centre – Precinct 10 under the City of Perth Town Planning Scheme No 2. The City West train station is a couple of minutes’ walk from our steps. Catch the Red Cat from either Ord, Hay or Murray. This bus runs every 5 -10 minutes and gets you in and out of the city fast. The Green Cat can even be caught from Colin St to Leederville should you need it. Access freeway’s Kwinana via Murray and Mitchel via Wellington in seconds. Bike paths run around the river and along the railway line then up both Thomas and George Street.